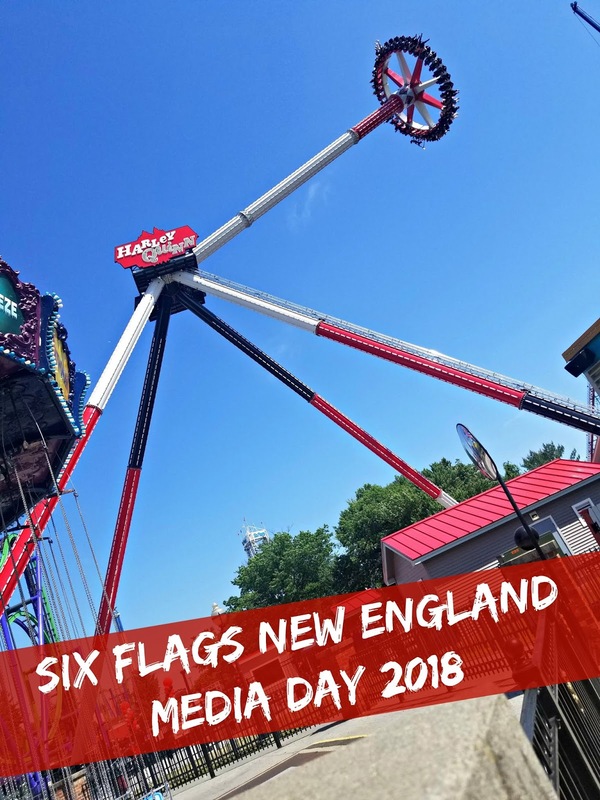 A couple weeks ago I was invited to Six Flags New England's 2018 Media Day. It was a stunning day and the kids were in school so I was excited to head out to Agawam, MA to preview the newest ride: Harley Quinn Spinsanity. 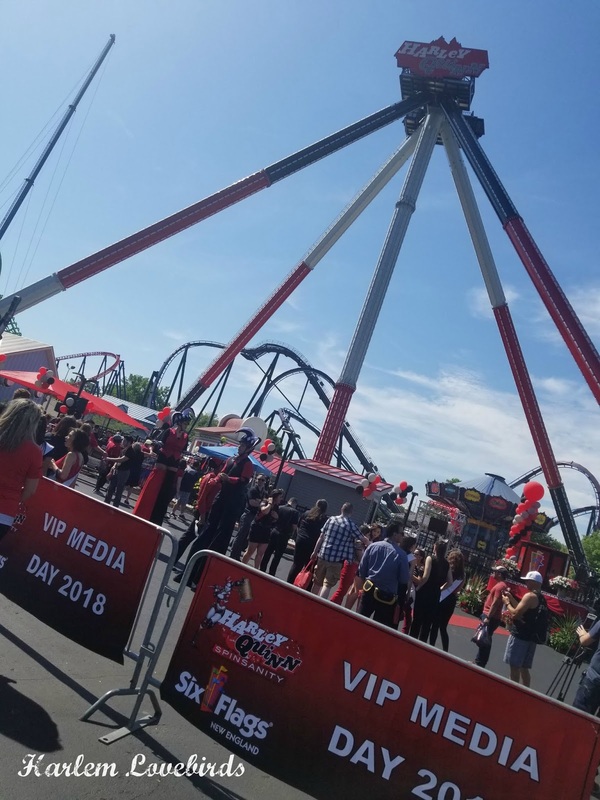 My family and I were first-time season pass holders this past year, and it was a no-brainer that we'd renew: we have such an amazing time at Six Flags each time we go plus the value is unbeatable. We're also HUGE comic book fans so to hear about the latest ride really piqued my interest. At about 15 stories stories high and reaching speeds of nearly 70 mph, this ride is the ultimate thrill ride! Not only does it swing on a pendulum, but the wheel that riders are seated on also rotates giving you alternate views of the sky and the amusement park. For the media day, so many familiar characters were on hand from Batman to the Joker and even Harley Quinn herself. 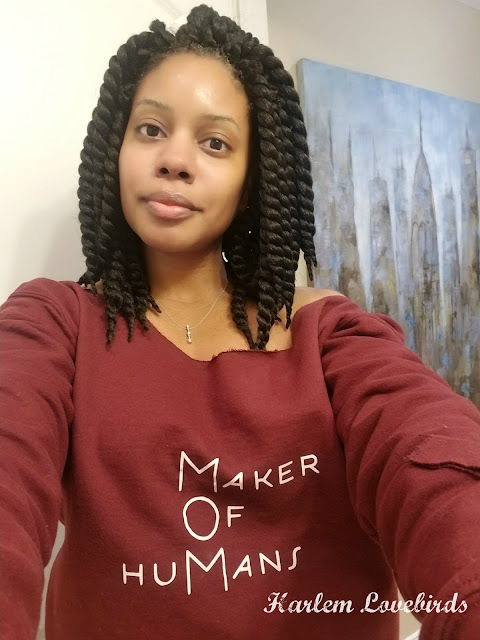 I know my kids would've loved to see everything so I captured the day in this fun recap video. 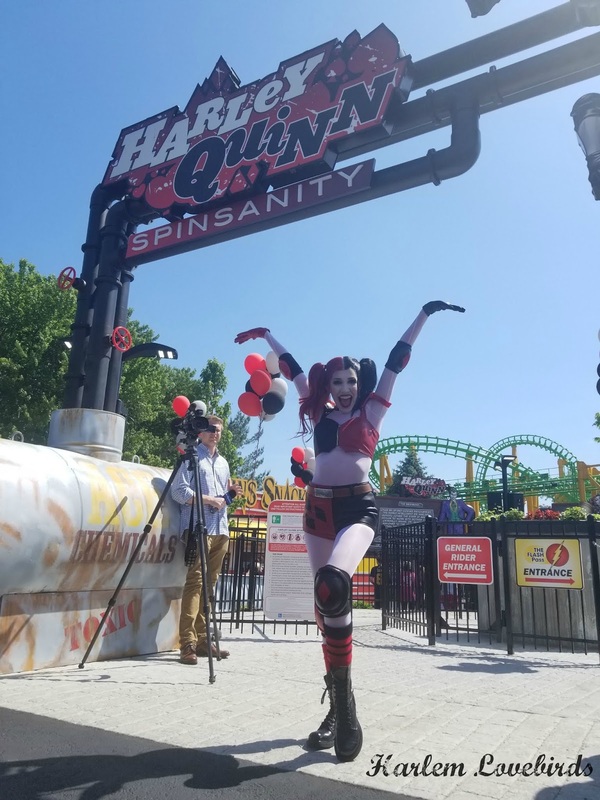 Harley Quinn Spinsanity is just one of so many amazing attractions that will keep us coming back to Six Flags New England! While you have to be 52" to ride (Nia clears it! ), there are plenty of rides for little ones like Grayson who loves going to Kidzopolis and spending time in Hurricane Harbor, the water park. To check out all Six Flags has to offer as well as some special Father's Day deals coming up for his weekend (we'll be there! ), visit their website and follow along on social media: Facebook, Twitter, and Instagram. Do you and your family like to ride thrill rides too?